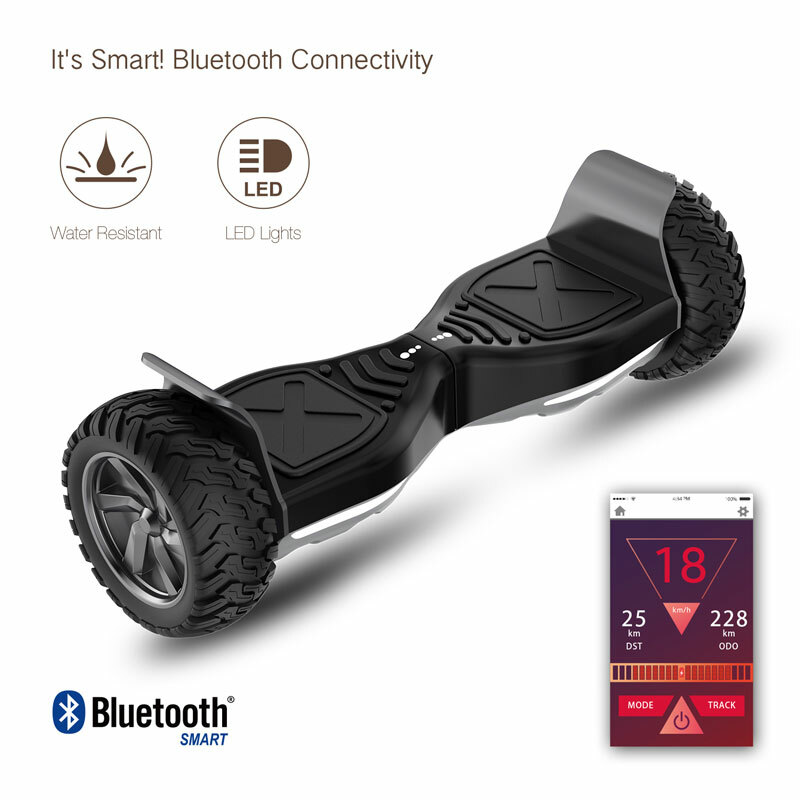 The powerful LG Lithium-Ion Battery of Hooboard easily gives a riding range of 15 Kms. Width: 70 cm. Length: 22 cm. Height: 23 cm. 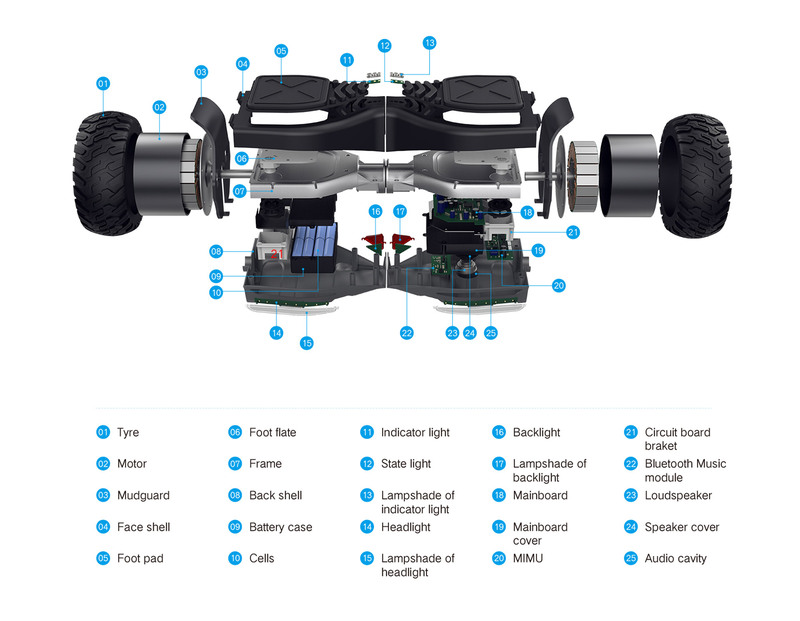 Hooboard is best in class Smart All Terrain Hoverboard. 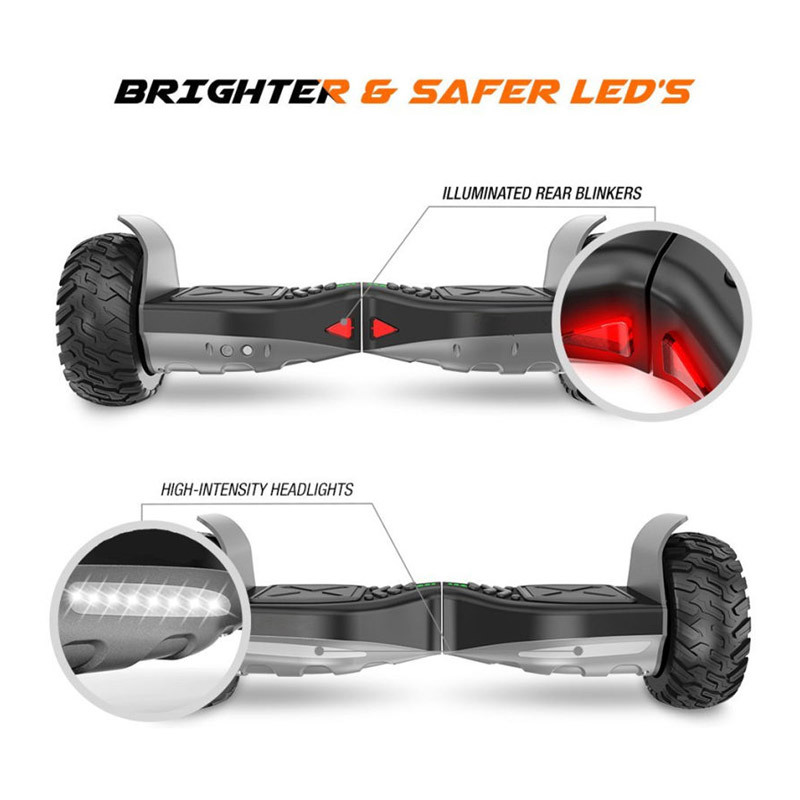 It is tested with 18% slope and on rough roads to give you a smooth ride. 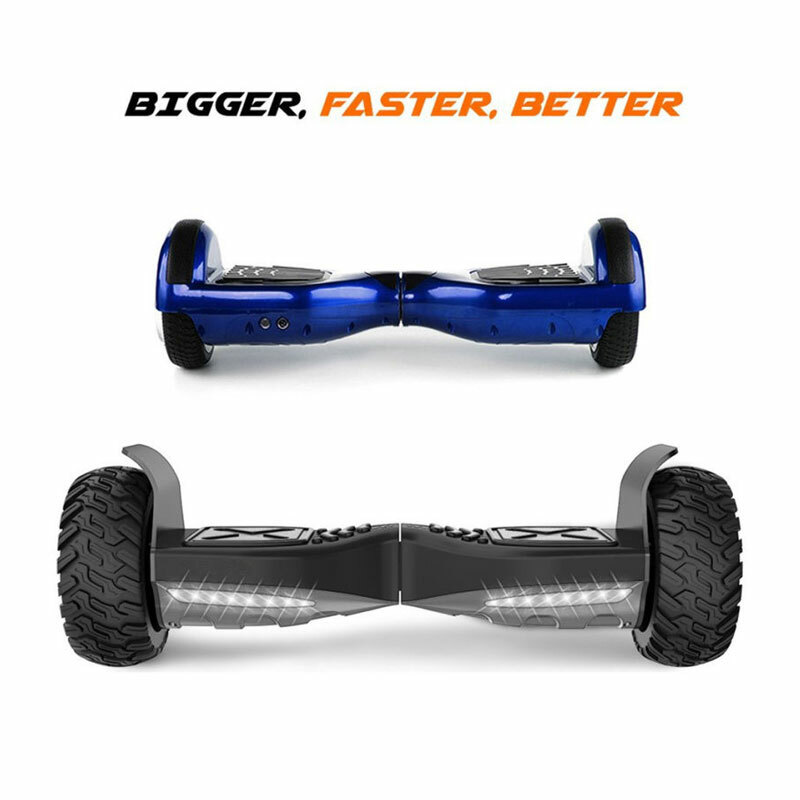 Come to a stop speedily and effortlessly with smart braking supported by 2 Independent Gyroscope. 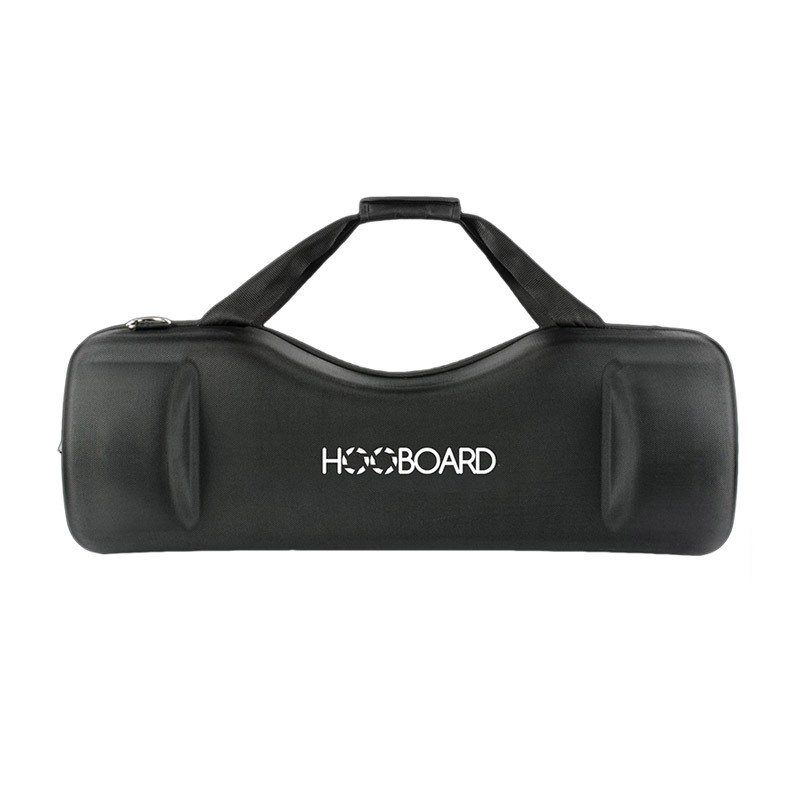 Hooboard comes with a 2 X 400 W Motor and 8.5 Inch Indestructible Sturdy tires to ensure a smooth riding experience.